The War Memorial in Colonial Beach is located on a little pie-shaped spot at the corner of Irving and Boundary streets. One thing I noticed is that if you look at it from a certain angle, the portion of the memorial that's referred to as "The Cannon" looks like it is aimed directly at a stop sign. I found that amusing, but this is a serious place. 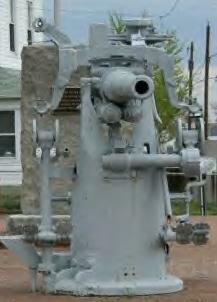 The Cannon is just that, a large cannon like you'd find on a Navy vessel perhaps. It sits atop a brick foundation next to the beach. Also located here is a flagpole flying old glory as well as a couple of plaques with more information about the site and the folks involved. 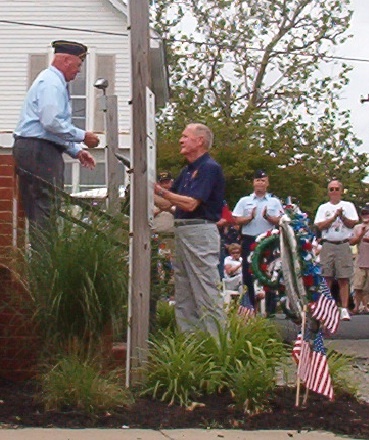 The site was dedicated on October 5, 1947 and it has served for over 60 years as a lasting tribute to those who served our country and town so heroically. 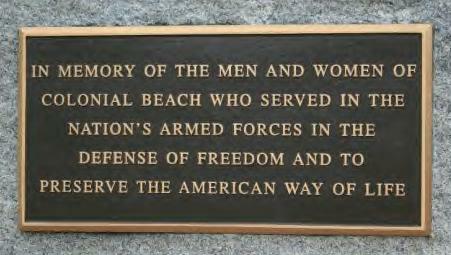 Project Colonial Beach, the Colonial Beach Foundation and others have been managing the upkeep of this area of late, and with their hard work it is ready for it's next 60 years as a monument to the area's war veterans. Special thanks to A&B for their maintenance work on the site. 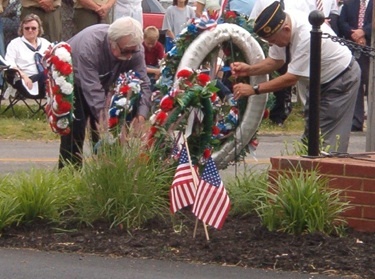 A good time to visit this site is during the yearly ceremonies held on Memorial Day in May and on Veterans Day in November.